As the BLI Line of the Year, Sharp multifunction printers are ideal for any company’s offices. They come in full color and monochrome to fit each company’s needs. These printers have been engineered to help companies print with the best quality and outstanding efficiency. Some of Sharp’s MFP’s come in different sheet tandem paper decks, allowing up to over 3,000 sheets in paper capacity. They will save time and money, printing out any type of document in-house with image quality that is also economical. With the front panel display, it makes printing documents even easier. The importance of efficient workflow in the modern economy cannot be understated. Time is more precious than ever, and businesses need every tool available to increase productivity. One of the areas where productivity is most important is the print environment. With fully functional paperless offices still in the distant future, printing keeps information flowing. Optimizing printing operations is key, and Sharp printers are the weapon of choice. Never compromise on multifunction printers, they provide essential services that have a direct impact on office productivity. 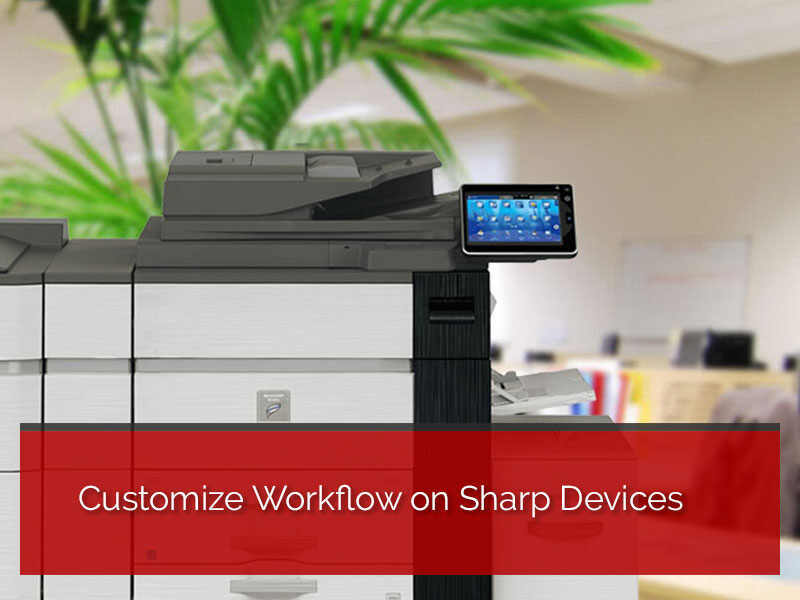 One of the greatest advantages of Sharp products for multifunction printers is their customizability. Firms looking for an all in one printer should shop Sharp. Sharp printers are the best in quality on the market today winning BLI’s Line of the Year! Having an all in one printer is a necessity in business today, they are powerful and require little maintenance. Then the little maintenance that these printers do need can be performed by a managed service. With any of the three sizes of screens, they are all customizable to each person or company’s needs. Ease of use for any user makes Sharp printers a top choice for businesses around the world. Another great feature of Sharp’s all in one printer touchscreen interface is that they support two-sides flipping. Meaning that two-sided pages are easy to review directly from the LCD panel. Having a touch-screen panel makes these printers very user-friendly. Anyone can accomplish any action with the ease of a finger. No need to go back and forth from the printer to the computer. The amount of time that this feature saves is incredible, and by saving time, firms also save money. Another advantage of the unmatched ease of use that is associated with sharp MFP touchscreens is the increased employee productivity. Having an unintuitive printing interface causes employees to struggle unduly. 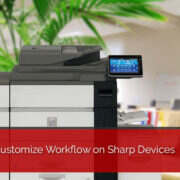 Sharp touchscreen products are the way to go for printers that are intuitive, efficient, and easy to use. With technology advancing so rapidly, keeping up with it can be difficult. Simplicity is inherent in the user interface design of this technology and has made it easier for people. Touch-screens have ended up being one of the easiest facets of technology for anyone to use. The touch-screen on Sharp multifunction printers has many features on the 10.1-inch, 8.5-inch, and 7-inch. These features make them a great value for the price. The features on the 10.1 inch include an overview, action panel, real-time image preview, eco mode, languages, move/delete pages, page rotation, and two-sided flip. Seeing these options on a touch screen will make printing easier. With the real-time image preview, the pages show up exactly how they will be printed out, so users can make changes before printing. With these printers, there are 24 languages to choose from making them ideal for many companies to use across the globe. The eco mode helps save energy and electricity, with the option to best fit the customer’s needs day to day. Embrace cost savings with the sleek and economical 8.5-inch display model. It comes with an overview, thumbnail view, and advanced image check. Printing with this screen isn’t as advanced as the 10.1-inch but will still get documents printed with uncompromised quality. The 7-inch display has the same overview and thumbnail view as the 8.5-inch screen, however, it does not come with the advanced image check. It does come with a convenient stylus, for easy use. This printer will still print just as well as the other two models, with comparable quality. Businesses are dependent for anything to give them a competitive edge. The search is over, with Smile’s Sharp’s touchscreens for multifunction printers. These devices are advanced, affordable, and will impress in the office as they are sleek and easy to use. Get the best MFP touchscreen on the market through Smile, a trusted vendor. 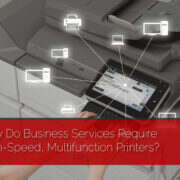 Why Do Business Services Require High-Speed, Multifunction Printers? 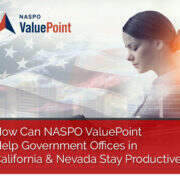 How Can NASPO ValuePoint Help Local Government Offices in California and Nevada Stay Productive?